Here (on this) we agree. Myraid did everything by the book and right. “35 U.S.C. § 101 35 U.S.C. 101 Inventions patentable. Then the US Government reneged on the promise after Myriad had performed with reasonable reliance on that promise. Call it fraud, call it what you want. Myraid was cheated out of its property right without compensation. 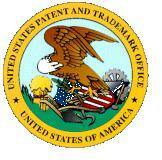 Patent eligibility needs to be greatly expanded, not reduced. The Supreme Court should be ashamed of itself. If more things were patentable, technological innovation would explode in America. The ancient Romans and Greeks never had patents, so they never had any technological innovation. Why more people do not understand this simple notion is incredibly mind-boggling and beyond belief. This lack of understanding patents defies logic and common sense. The fashion apparel industry and food cuisine do not have the benefit of patents, and consequently these industries never have any innovation whatsoever – These fields have been mired in stagnation for centuries due to the lack of patent protection.